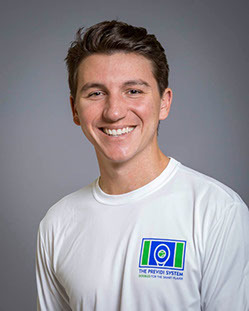 Matt Previdi is a private and traveling high performance coach based in La Jolla California. For the past 7 years he has been the head coach of the La Jolla High men’s tennis team, whom he led to an 85-11 record, including 2 CIF championships. He spent his first 5 years in San Diego running the ladies program at the famed La Jolla Beach and Tennis Club. In 2011 he was named USPTA “Coach of the Year” in San Diego, and since then has helped his Father Bill pioneer “The Previdi System”, a system geared towards adults who want to master the art of doubles. His experience coaching at all levels has kindled a deep passion for the equipment we use on court as tennis players. Over the years, he has come to understand what the pro’s on tour know: the quality of your equipment is equally as important to your game (and your health) as technique, fitness, and strategy/decision making. The insight and experience he calls upon when customizing equipment was gained by years of work in the trenches at tournaments around the country. He has run the stringing concession at The Easter Bowl, which services over 1,000 players in a week, as well as The Ojai, the oldest tennis tournament west of the Mississippi. In 2011, he served as the official stringer for the Italian team that won the Fed Cup Championship, working with players like Roberta Vinci and Flavia Pennetta. From 2012-2014, he was a member of the Indian Wells stringing team, where he was one of 9 stringers selected to service the top players in the world, including Francesca Schiavone, Sloane Stephens, and Rafael Nadal.